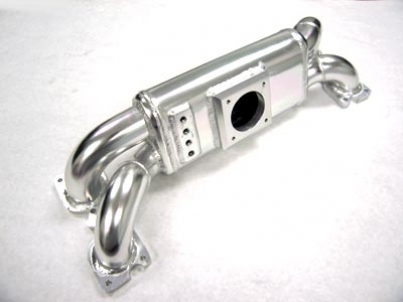 OBX has just released a brand new sheet aluminum race intake manifold for the 04-07 Subaru Impreza STI. Note that this system will not work on standard WRX model. This intake manifold design features a 65mm throttle body inlet and oulet diameter of runners to engine is 48mm. Design is a short runner design so it will retain your stock TGV. For best performance, it is recommended to bypass / delete the TGVs however. This is a perfect upgrade for those who are running a 20G, GT30, or 35R turbo.